How to grow cabbage plants successfully in your home vegetable garden. 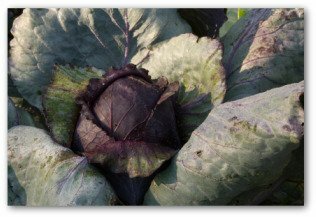 Learn easy ways to plant, water, and care for all types of cabbage plants. Grow fresh delicious cabbage plants to store for winter use. Whether you eat cabbage often or only occasionally, you will be delighted at the taste of fresh cole slaw made from homegrown cabbages. Learning how to grow cabbage is well worth it when you savor the delicious difference in flavor from store bought vegetables. Early varieties can be harvested in 60-70 days. Growing a combination of both early and late varieties gives you a long season of fresh cabbage. Cabbage is a hardy plant that is resistant to frost. • The plant prefers sun but will tolerate partial light shade if unavoidable. • Plants require enriched soil that does not dry out easily. 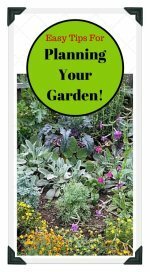 • Mix compost, aged manure, peat moss, and 10-10-10 fertilizer at a rate of 2 pounds per 50 square feet into the soil before planting cabbage seeds or transplants. In the North, sow seeds of early varieties indoors in March for transplanting to the vegetable garden about six weeks later. 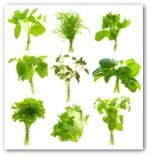 Grow the seedlings at an indoor temperature of around 60 degrees F.
Sow winter variety seeds outdoors in mid-spring. It is best to water cabbage plants at their base rather than onto the plant itself. Mulch cabbage plants to retain soil moisture content. Water approximately 1-2 inches of water per week. Uneven water supply can cause cabbage heads to crack or become stunted. 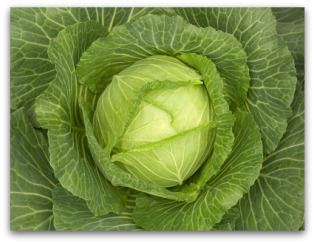 Apply high nitrogen fertilizer and compost to your cabbage plants. Rotate your garden plants from year to year to deter pest, and help control plant diseases. Jumbo or Premium Flat Dutch takes 105 days from plant setting to maturity. With this cabbage variety, few heads will weigh less than 12 pounds! The jumbo vegetable gets its name from its flat, rounded top. The cabbage keeps all winter long. Showoff produces giant 12-16 pound cabbage heads of superior flavor. Harvest in 120 days. The huge heads will hold a long time in your vegetable garden. Chinese or celery cabbage grows in large, tall, cylinder heads. It has a much milder flavor and more delicate texture than ordinary cabbage. 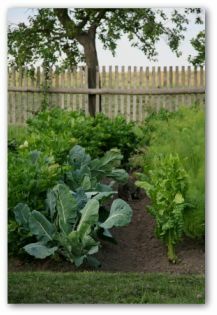 Planting and growing requirements are the same as growing regular green or red cabbage plants. For decades the Giant Jersey cabbage was cultivated in the Channel Islands for the manufacture of walking sticks which were sold to Victorian gentleman. The leaves of this tall, thick-stemmed plant were used in soups and also fed to cattle, while the roots were often carved into thimbles. The production of the Giant Jersey has declined since its hay day but if you were able to get a hold of some of the seeds, this would be a fun, novelty variety to grow. When the plants are about 18 inches high, take off the lower leaves and the stalks should double in size by the end of the first season. They flower in the second year and reach heights of over six feet in their third! Cut the stalks into walking stick lengths and dry them for six months. Varnish the sticks with a protective coating and fit a handle to the top and a rubber stop to the bottom. Cabbage gets along well with potatoes, thyme, rosemary, dill, mint, and sage in the garden. Tomatoes and cabbage are not good companion plants. If you have any doubts about whether your seeds are too old to germinate properly, sprinkle a few of them on a damp piece of paper towel and keep in a warm place to see if they spring to life. Caterpillars can devastate a crop of cabbages. Help protect younger plants by adding about half a tablespoon of salt to your watering can. The plants absorb the salt, making them unpleasant for the insects that bloat and die after eating the cabbage. Not to worry if you are on a low salt diet, the cabbages will have gotten rid of the salt by harvest time!